The IAEA review team praised the NRA’s progress in various areas, such as demonstrating independence and transparency, and made suggestions and recommendations for further improvement, primarily in the area of NRA staff recruiting and development. More importantly, they also need to instill the necessary backbone to stand up in front of the bosses and ask tough questions and demand straight answers. Lots of folks probably knew the Fukushima seawall wasn’t high enough and the emergency equipment in the basement was subject to flooding but everyone went along with the program. That’s what has to change to create a stronger SC. 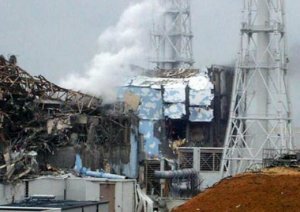 * “IAEA praises reform of Japan's nuclear regulator,” World Nuclear News (Jan. 22, 2016). 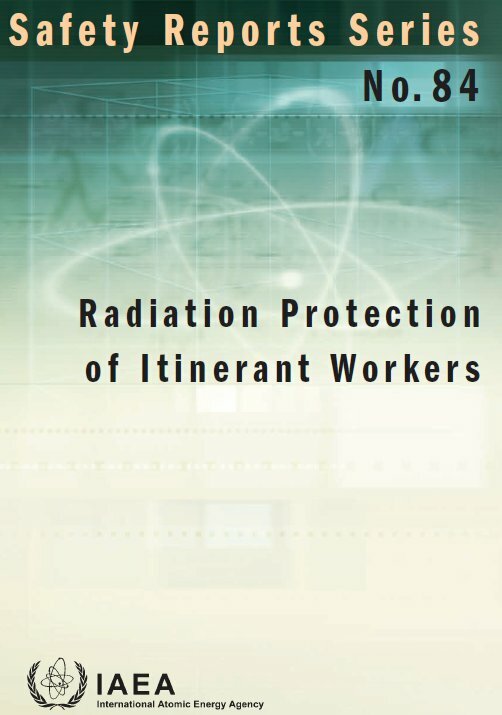 IAEA has published “Radiation Protection of Itinerant Workers”* a report that describes management responsibilities and practices to protect and monitor itinerant workers who are exposed to ionizing radiation. “Itinerant workers” are people who work at different locations “and are not employees of the management of the facility where they are working. The itinerant workers may be self-employed or employed by a contractor . . .” (p. 4) In the real world, such employees have many different names including nuclear nomads, glow boys and jumpers. This publication is hardly a great victory for SC; the report provides only the most basic description of the SC imperative. Its major contribution is that it recognizes that itinerant nuclear workers deserve the same safety and protection considerations as other workers at a nuclear facility. Back in the bad old days, I was around nuclear organizations where their own employees represented the highest social class, contractors were regarded as replaceable parts, and nomadic workers were not exactly expendable but were considered more responsible for managing their own safety and exposure than permanent personnel. One can make some judgment about a society’s worth by observing how it treats its lowest status members—the poor, the homeless, the refugee, the migrant worker. Nuclear itinerant workers deserve to be respected and treated like the other members of a facility’s team. * International Atomic Energy Agency, “Radiation protection of itinerant workers,” Safety reports series no. 84 (Vienna, 2015). The Columbia Generating Station (CGS) got into trouble with the NRC when two members of the security department were found to have been willfully inattentive to their duties on multiple occasions over three years (2012-2014). What they were doing was not disclosed because it was a security-related matter. The situation was summarized in a recent newspaper article* and the relevant NRC documents** provide some additional details. Energy Northwest (CGS’s owner) opted for the NRC’s Alternative Dispute Resolution (ADR) process. The agreed-upon corrective actions and penances are typical for ADR settlements: conduct a common cause evaluation, install new cameras and increase supervision if the cameras aren’t working, revise and present training, prepare a statement on willful misconduct’s consequences and have personnel sign it, prepare a "lessons learned" presentation for plant personnel and an industry gathering (aka public atonement), revise procedures and conduct a targeted nuclear safety culture (SC) assessment of the security organization at CGS. Oh, and pay a $35K fine. The security SC assessment caught our eye because it is being conducted by a law firm, not a culture assessment specialist. Maybe that’s because the subject is security-related, therefore sensitive, and this approach will ensure the report will never be made public. It also ensures that the report will focus on the previously identified “bad apples” (who no longer work at the plant) and the agreed-upon ADR actions; the assessment will not raise any awkward management or systemic issues. ** A. Vegel (NRC) to M. Reddermann (Energy NW), Columbia Generating Station – NRC Security Inspection Report 05000397/2015405 and NRC Investigation Report No. 4-2014-009 (June 25, 2015). ADAMS ML15176A599. M. Dapas (NRC) to M. Reddermann (Energy NW), Confirmatory Order - NRC Security Inspection Report 05000397/2015407 AND NRC Investigation Report 4-2014-009 Columbia Generating Station (Sept. 28, 2015). ADAMS ML15271A078. Posted by Lewis Conner 6 comments. Click to view/add.